7 year warranty on energiser. Environmentally friendly and easy to move to different locations. 6 volt rechargeable battery included (although not included in 7 year warranty). Mounts on top of a T-Post, or hangs on a wooden post or barn wall. High impact and UV resistant plastic case for maximum durability. Extremely tough! Includes battery. There is an option to include a 1m earth stake. For short ish fences where a heavy 12v batteries are not practical this is a dream. 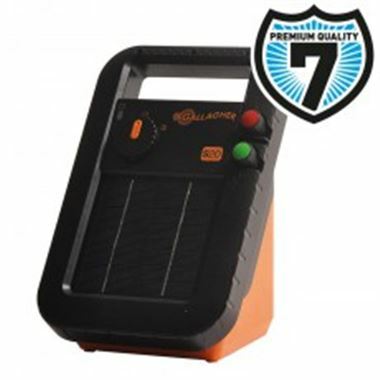 What we say: This is a premium energiser, and it comes with a 7 year guarantee. It's the toughest of all the solar energisers and is built to last.